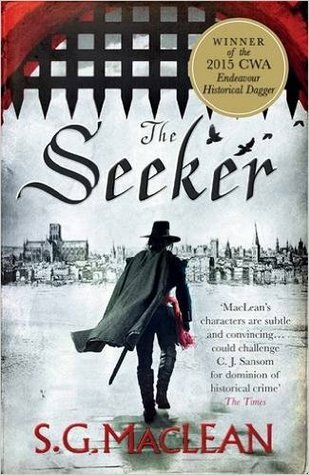 The Seeker by S G MacLean is the first book in her Damian Seeker series, historical crime fiction set during the Interregnum under Oliver Cromwell, the Lord Protector. This one is set in 1654. I’ve read the second and third books in the series and whilst I was happy to read them as standalones now I’ve read the first one I think it would have better if I had read them in order. Damian Seeker, Captain of Cromwell’s Guard, works for John Thurloe, Cromwell’s Chief Secretary and spy master, in charge of the security of the regime, running a virtual secret service. He is an enigmatic character, and very little is revealed about his background until very near the end of the book. In the later books, particularly in the third, Destroying Angel, I learnt a lot more about him. Like the later books The Seeker transported me to another time and place. It was as though I was back in England in the 17th century, a place of unrest, teeming with spies, exiles and assassins. Agents, sometimes clergymen or merchants, working for Cromwell, infiltrated the Royalists abroad supporting the future Charles II; the universities too were useful with dons expert at deciphering coded messages, and there was a highly effective postal service intercepting mail to suspect individuals before being resealed and delivered. And in London, bookshops, taverns and coffee houses were places where conversations were overheard and reported to the authorities. England in 1654 is a Republic in name only, Parliament had been dissolved in 1653 and Cromwell was appointed as Lord Protector – King in all but name, he lived in the former Palaces of Whitehall and Hampton Court and his generals imposed even greater restrictions on the freedoms of the public. It’s a complex novel, as Seeker investigates the murder of Lieutenant John Winter, one of Cromwell’s favoured officers in his New Model Army. He had found Elias Ellingworth, a radical lawyer and journalist, and an outspoken critic of Cromwell’s regime, standing over the bleeding body clutching a knife. But Seeker is not convinced of his guilt and thus the search for the real culprit begins. It takes in royalist plots, the slave trade, dodgy merchants’ deals and an attempt on Cromwell’s life. There are many characters and I had little idea who had killed Winter until right at the end, so I read eagerly trying to work it all out. Having read three of the series I particularly like Damian Seeker. He is definitely a man to have on your side, a man both respected and feared, and a man to trust. The books are based on solid historical research (S G Maclean has an M.A. and Ph.D. in History from the University of Aberdeen) bringing the atmosphere and tenor of the 1650s to life before my eyes. I particularly liked all the detail about Kent’s Coffee House. I thoroughly enjoyed it and wanting to know more about the period and Cromwell I’ve bought Antonia Fraser’s book, Cromwell: Our Chief of Men. The Bear Pit, the fourth book in the Seeker series, is due out on 11 July this year. A tale of mystery and imagination laced with terror. Wakenhyrst by Michelle Paver is a dark and sinister tale, full of menace and suspense. It’s a slow-burner, told through different points of view, that builds to a climax with a sad twist in the story right at the end – one I hadn’t seen coming. It’s set in a remote hamlet in the Suffolk Fens, an eerie waterlogged landscape where Edmund Stearn, a historian, and his family live in a large manor house, Wake’s End, on the edge of the Fens, said to be the oldest and most rotten of fens. It was a place of dread, haunted by spirits and the home of eels and other foul creatures. The novel begins with a magazine report in 1966 on the events that took place at Wake’s End in 1913 when sixteen-year old Maud Stearne watched her father, Edmund, leave the house, armed with an ice-pick and a geological hammer and murder the first person he came across in the orchard. Maud was the only witness. She is now a recluse and in 1913 she had only spoken briefly at his trial. But now she needs money to repair the ancient manor house that is her home and has invited the journalist to Wake’s End. He believes Edmund was innocent and hopes to discover the truth – was Edmund mad and what did he write in his notebook that Maud has never confirmed even existed? Maud’s evidence was full of holes – did she commit the murder and frame her father, who took the blame? Edmund never explained why he did it, or how he ended up in the well, screaming with terror as he fought off a mass of eels. He spent the rest of his life in an asylum, where he created three paintings that astonished the world – grotesque paintings full of colour and tiny malevolent faces leering out of the canvas, the stuff of nightmares. What follows is a story of disintegrating madness, revealed in Edmund Stearne’s notebook as the reporter persuades Maud to tell her story, going back to her childhood, when her mother was still alive. Her mother got the same illness every year, or so Maud believed – an illness where her middle swelled, resulting in a period of ‘groaning’, as her middle would burst and ending with either ‘a bloody chamberpot’, or a dead baby. When she died Maud blamed her father and believed he was insane when he became obsessed with the medieval painting of the Last Judgement, known as the Doom, that he found in the churchyard. He connects the Doom with the writings of Alice Pyett, a medieval mystic whose book he was transcribing. There is a sense of impending disaster as the tale unfolds. Whilst the fens are a source of dread and fear for Edmund, they are a place of solace and beauty for Maud. The book is full of the folklore and customs of the local people and their belief in the spirits that haunt the fen – ferishes, Jack-o’-Lanterns and Black Shuck – Michelle Paver notes in her Author’s Note that she has not invented these. Maud’s childhood, her fear of her father and his violence towards her and her mother, are scenes that are based on the misogynist attitudes of the period. Maud’s life was run by her father’s rules. She had no friends or companions apart from the servants, whose lives were ruled by superstitions, until she met Jubal Rede, the wild man who lived in the fen. He was kind to her and taught her the ways of the fen. But there is also Chatterpie, the magpie she rescued from the well and grew to love, and then Clem, the young under-gardener who she also grew to love. It’s a compelling story, steeped in atmosphere, with characters typical of an earlier age whose lives were oppressed and isolated from the wider world. I loved the setting, the mysterious fenland, the horrific gothic and dark nature of the story, the mystery of the murder and most of all I loved Maud and her independent spirit that brought her through the nightmare. My thanks to the publishers, Head of Zeus for my review copy via NetGalley. This is the third book in Andrew Taylor’s series following James Marwood and Cat (Catherine) Lovett. I loved the first two – The Ashes of London (set in 1666) and The Fire Court (set in 1667, eight months after the Great Fire of London), so I was delighted when Felicity Denham at HarperCollins asked me if I’d like a proof copy of The King’s Evil to review. It is not necessary to read the earlier books as I think they all work well as standalones, but I think it helps if you do. The King’s Evil carries on from where The Fire Court ended. Seven years after the restoration of the monarchy it’s still a time of political and social change. Whilst Charles II still had immense power as the King a new middle class, both professional and administrative, was evolving. James Marwood is a government agent in Whitehall, working as a clerk for William Chiffinch, one of the commissioners of the Board of Red Cloth. Chiffinch was also Keeper of the King’s Private Closet and Page of the Backstairs, an important position as he controlled private access to the King. In addition Marwood also works under Joseph Williamson, the Undersecretary to the Secretary of State for the South, one of Charles’s most powerful ministers. Charles had reinstated the ceremony of ‘touching for the King’s Evil’ as a demonstration of his divine right to rule – a ceremony in which the monarch touched those people suffering from scrofula, a disease, now known as tuberculosis, that caused the swelling of the bones and lymphatic glands in the neck (the book cover illustrates the ceremony). It was believed that the King’s touch cured the disease. The novel begins as Marwood is in the Banqueting Hall at Whitehall watching the ceremony. Chiffinch had told him to attend on the orders of the King to meet Lady Quincy and do whatever she commanded. Lady Quincy, accompanied by a small African child, her footboy suffering from scrofula, tells Marwood to meet her outside the church near the Tower of London. She also warns him that Edward Alderley, her step-son, is out for revenge on Cat Lovett because of what she had done to him. (This refers to events in The Fire Court). In order to keep her identity secret Cat, whose father had been one of the Regicides, is going by the name of Jane Hakesby. She had been working for Simon Hakesby, a surveyor and architect, on a garden pavilion project in the grounds of Clarendon House. Then Alderley is found dead in the well in the garden pavilion. Marwood is asked to look into the circumstances of Alderley’s death, under the King’s authority. He decides to keep his connection with Cat to himself, whilst he tries to find out where she has gone and who was responsible for Adderley’s death. Was it an accident, was it suicide, or was it murder? After Chiffinch received an anonymous letter naming Cat as the murderer, he sent officers to arrest her, but she had disappeared. So this was taken as a confession of her guilt. Marwood was afraid that this could implicate him too if it became known that he had told her that Alderley knew her whereabouts. In addition, Lord Clarendon is convinced that Alderley was involved in a conspiracy against him and also suspects that someone in his household is involved in the plot. He is out of favour with Charles, and had recently been removed from the office of Lord Chancellor. But he’s still potentially politically powerful as his daughter is married to Charles’s brother, James, the Duke of York. His grandchildren, the Princesses Mary and Anne, are the next heirs in the line of succession if Charles remained childless. Marwood tries to find Cat, and also escorts Lady Quincy to Cambridge on a secret mission. Eventually his investigation into Alderley’s death leads him to discover who is behind the plot against Clarendon, and also to uncover a potential royal scandal in which Lady Quincy and the Duke of Buckingham, one of Charles’s favourites who had supplanted Clarendon, play important roles. I loved the characterisation and all the details of the setting, bringing to life scenes at the royal court as well as in the refugee camps that housed the homeless as the work of rebuilding London continued. Andrew Taylor is a supreme storyteller, combining fact and fiction – his novels are full of historical details that slot seamlessly into his stories. The King’s Evil is historical fiction at its best, full of suspense and tension, an intricate and tightly plotted murder mystery, enhanced by the intrigue of a royal scandal. Many thanks to the publishers, HarperCollins for my review copy. A Life of My Own: A Biographer’s Life by Claire Tomalin – a book that Marina @ Finding Time To Write, so kindly sent to me. I’ve been reading this a few chapters at a time for some while and am getting to the end of this book. This morning I read about the death of her second daughter, Susanna – such a moving tribute. Moriarty by Anthony Horowitz – I’ve only read a few chapters so far. This is a Sherlock Holmes novel but without both Holmes and Watson – Sherlock Holmes and Moriarty have fallen to their deaths at the Reichenbach Falls. The discovery of a brutally murdered body in a leafy suburb is investigated by Pinkerton agent Frederick Chase and Inspector Athelney Jones, a devoted student of Holmes’s methods of investigation and deduction. Here Be Dragons by Sharon Penman, historical fiction, the first of her trilogy about the medieval princes of Gwynedd and the monarchs of England. I’m reading this on my Kindle and finding it just as compelling reading as her wonderful book The Sunne in Splendour. It tells the story of Llewelyn, the Prince of North Wales, and his rise to power and fame. So far, I’m reading about his childhood and teenage years. 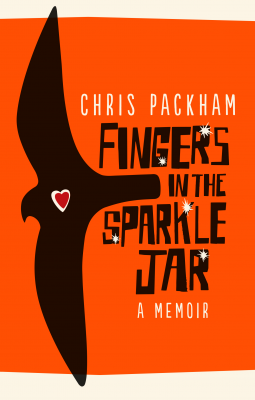 Fingers in the Sparkle Jar by Chris Packham, which I first read two years ago. A very special book that is just as amazing to read as it was for the first time. Wakenhyrst by Michelle Paver, a gothic novel due to be published on 4 April 2019. I loved her Dark Matter, a ghost story in the form of a diary set in the Arctic and so expected to love this one too. It’s not as chilling, but is just as atmospheric and full of mystery. I’ll be writing my review very soon. When he finds a painted medieval devil in a graveyard, unhallowed forces are awakened. Maud’s battle has begun. She must survive a world haunted by witchcraft, the age-old legends of her beloved fen – and the even more nightmarish demons of her father’s past. At the moment I don’t know. 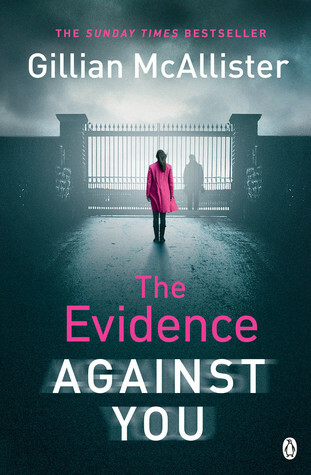 But it could be The Evidence Against You by Gillian Mcallister, due to be published on 18 April 2019. It’s the day Izzy’s father will be released from jail. This week I’m featuring Here Be Dragons by Sharon Penman, one of my TBRs that I’ll be reading next. Set in 13th century Wales this is the story of Llewelyn, the Prince of North Wales, and his rise to power and fame and his love for Joanna, the illegitimate daughter of King John. Theirs was a land of awesome grandeur, a land of mountains and moorlands and cherished myths. They called it Cymru and believed themselves to be the descendants of Brutus and the citizens of Troy. They were a passionate, generous and turbulent people, with but one fateful flaw. They proclaimed themselves to be Cymry – ‘fellow countrymen’ – but they fought one another as fiercely as they did their English neighbours and had carved out three separate kingdoms out of their native soil. I loved Sharon Penman’s The Sunne in Splendour and so I’m expecting Here Be Dragons to be just as good. I love the title, conjuring up notions of what lies beyond the edge of the known world and I think the imagery of the opening sentence is wonderful. Top Ten Tuesday is a weekly meme created by The Broke and the Bookish and now hosted by Jana at That Artsy Reader Girl. For the rules see her blog. This week’s topic is Books On My Spring 2019 TBR. Some of these books have been on my shelves unread for a long time, some are new additions and others are e-books from NetGalley that will be published soon. I’d like to think I’ll read all these books soon but realistically I know that I’ll only read a few of them this Spring! Broken Ground by Val McDermid – DCI Karen Pirie investigates the discovery of a body in the remote depths of the Scottish Highlands. In Cold Blood by Truman Capote – Capote reconstructs the crime and the investigation into the murders of the four members of the Clutter family on November 15, 1959, in the small town of Holcomb, Kansas. How Green Was My Valley by Richard Llewellyn – a story of life in a mining community in rural South Wales as Huw Morgan is preparing to leave the valley where he had grown up. He tells of life before the First World War. On the Beach by Neville Shute – set in Melbourne, Australia this is a novel about the survivors of an atomic war as radiation poisoning moves toward Australia from the North. Iris and Ruby by Rosie Thomas – the story of a teenage girl, Ruby, who runs away from home to live with her grandmother, Iris in Cairo. Here Be Dragons by Sharon Penman – set in 13th century Wales this is the story of Llewelyn, the Prince of North Wales, and his rise to power and fame and his love for Joanna, the illegitimate daughter of King John. A Beautiful Corpse by Christi Daugherty – crime reporter Harper McClain unravels a tangled story of obsession and jealousy after a beautiful law student is shot in Savannah, Georgia. A Snapshot of Murder by Frances Brody – set in Yorkshire in 1928, when amateur detective, Kate Shackleton investigates a crime in Brontë country. Gone Girl by Gillian Flynn – on the day of Nick and Amy’s fifth wedding anniversary, Amy suddenly disappears. The police suspect Nick. Amy’s friends reveal that she was afraid of him, that she kept secrets from him. He swears it isn’t true. The Island by Ragnor Jonasson – Nordic noir, set on the island of Elliðaey, off the Icelandic coast. Four friends visit the island during a long, hot summer but only three return. Detective Inspector Hulda Hermannsdóttir is sent to investigate. 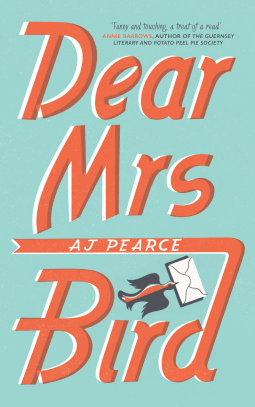 I wasn’t sure I would like Dear Mrs Bird by A J Pearce because, although it’s historical fiction and one of my favourite genres, it has received so much hype that made me wonder if it was over-hyped and whether I’d find it a bit of a disappointment. It is written in a chatty style, which makes it a quick and easy read. It’s set mainly in 1941 in London. The main character is Emmeline (Emmy) Lake, a young woman who yearns to be a war correspondent and gets a job on a magazine, Woman’s Friend as she thinks, mistakenly that this will lead to her becoming a war correspondent. However, what the job entails is being a junior typist working for Mrs Henrietta Bird, the agony aunt on the magazine’s Problem Page. Mrs Bird is a formidable woman who has no time for what she calls Unpleasantness and she will not answer any letters that she considers to be Unacceptable – and there is a long list of topics that come under that heading, mainly anything to do with relationship problems of any kind, religious or political activities or opinions and the war. But Emmy can’t help getting involved and, failing to persuade Mrs Bird to answer the letters, decides to write back herself, and even to publish a couple of answers in the magazine. Needless to say, this is not a Good Idea and she lands herself in all Kinds of Difficulties. At first I thought I wasn’t going to enjoy this book as it comes over as not only chatty, which I liked, but also full of slang – too breezy and clichéd in a ‘jolly hockey sticks’ style with an over-use of capital letters For Emphasis, which I found a bit irritating. But then, as the scattiness of the first part of the book faded somewhat and concentrated more on Emmy’s voluntary work with the Fire Service, the tone changed giving a vivid picture of what life was like during the Blitz. Emmy is a well-meaning young woman, if a little misguided in her efforts to help people, but she tries very hard to correct her errors when things did not turn out as she had hoped. Overall, then I did enjoy it and think it gives a good sense of the times and the realities of the war for the ordinary people at home. My thanks to the publishers, Picador for my review copy via NetGalley.